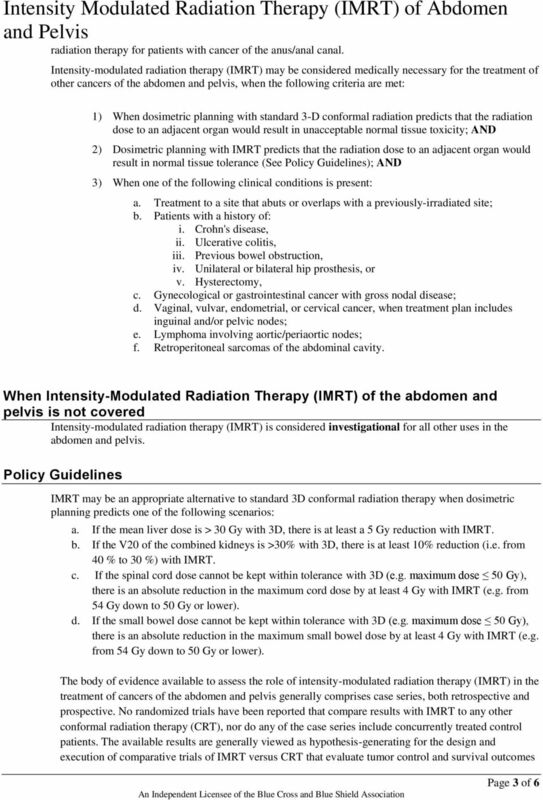 Download "intensity_modulated_radiation_therapy_imrt_of_abdomen_and_pelvis 11/2009 5/2016 5/2017 5/2016"
Radiation therapy involves using many terms you may have never heard before. Below is a list of words you could hear during your treatment. 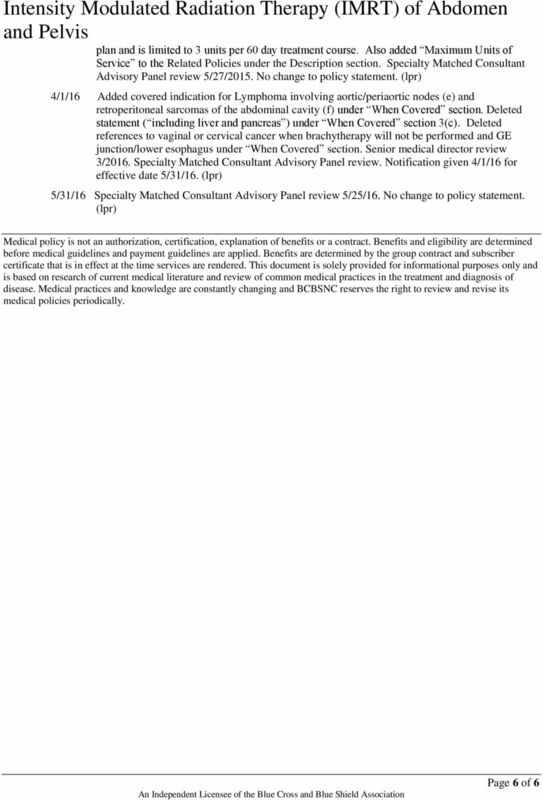 PRIOR AUTHORIZATION Prior authorization is recommended and obtained via the online tool for participating providers. 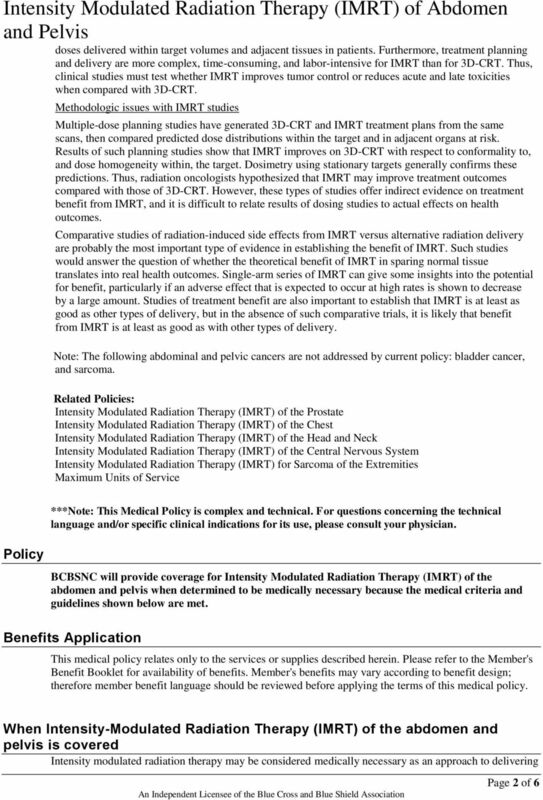 Proton Therapy. What is proton therapy and how is it used? Scan for mobile link. 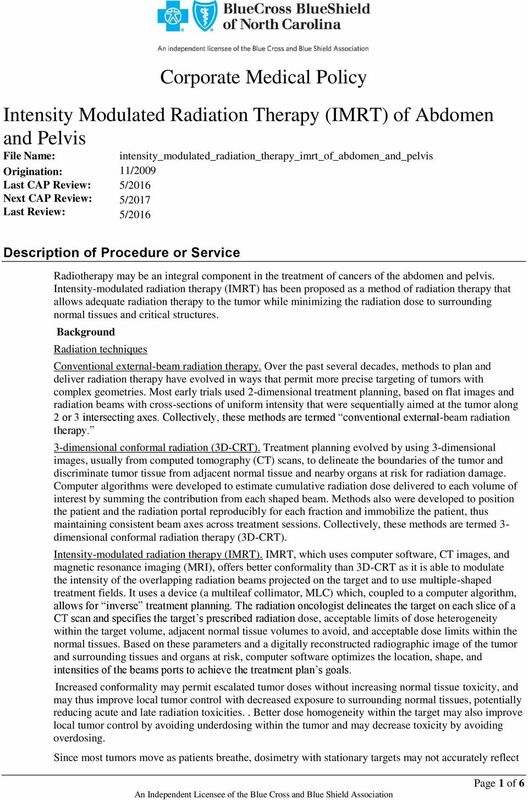 Image-guided Radiation Therapy (IGRT) Image-guided radiation therapy (IGRT) is the use of imaging during radiation therapy to improve the precision and accuracy of treatment delivery. 1. Provide clinical training in radiation oncology physics within a structured clinical environment. 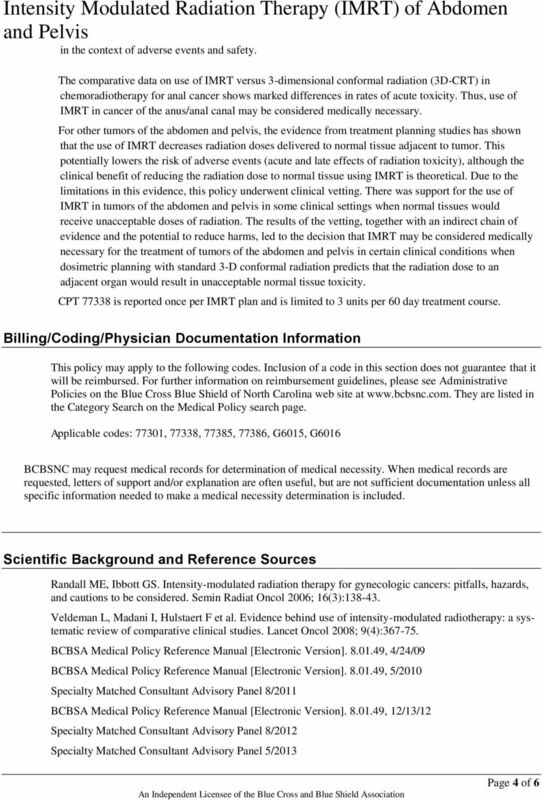 Innovative RT SBRT. The variables with REQ in superscript are required. 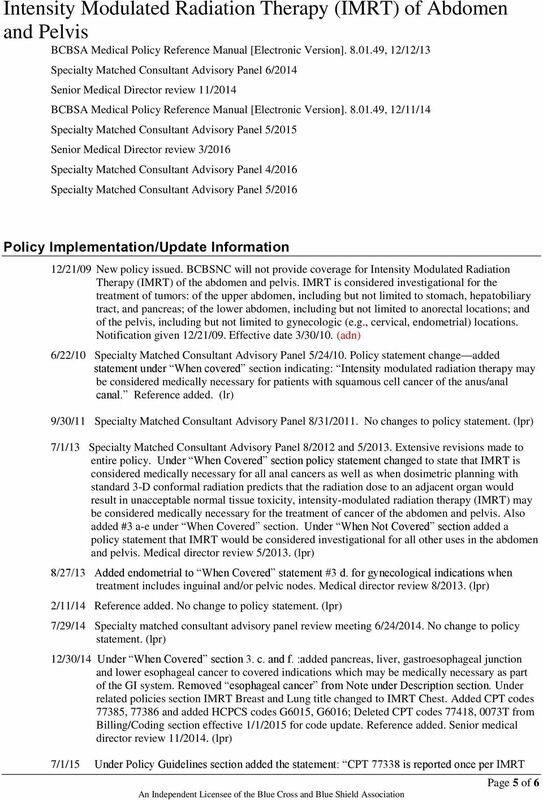 David Feltl, M.D., Ph.D., MBA. Structure and organization of cancer care in the Czech Republic. Assessment of outputs and outcomes.